Anthony Pike occupies a privileged position in London’s musical life. He combines the post of principal clarinet of the English Chamber Orchestra with a busy schedule as a chamber musician and soloist, and is regularly invited to sit as guest principal with the UK’s leading orchestras. Born in Seoul, Korea, Anthony studied the clarinet with Julian Farrell in London, Robert Marcellus in Chicago and Dame Thea King At the Royal College of Music. He is the principal clarinet with the English Chamber Orchestra (E.C.O. ), and has performed concertos with them worldwide. He is regularly invited, as chamber musician and soloist, to appear at international festivals, which have included Edinburgh, Johannesburg, Nordland, Hong Kong and Bermuda. Anthony’s discography includes Mozart Concerto for Basset Clarinet with Ralph Gothóni and the E.C.O., the complete works for clarinet by Max Reger (Martin Jones, piano), Copland Clarinet Sextet and a recent recording of Ralph Vaughan Williams’s Quintet on the London Soloists Ensemble debut CD. Anthony is also a sought after and experienced teacher. 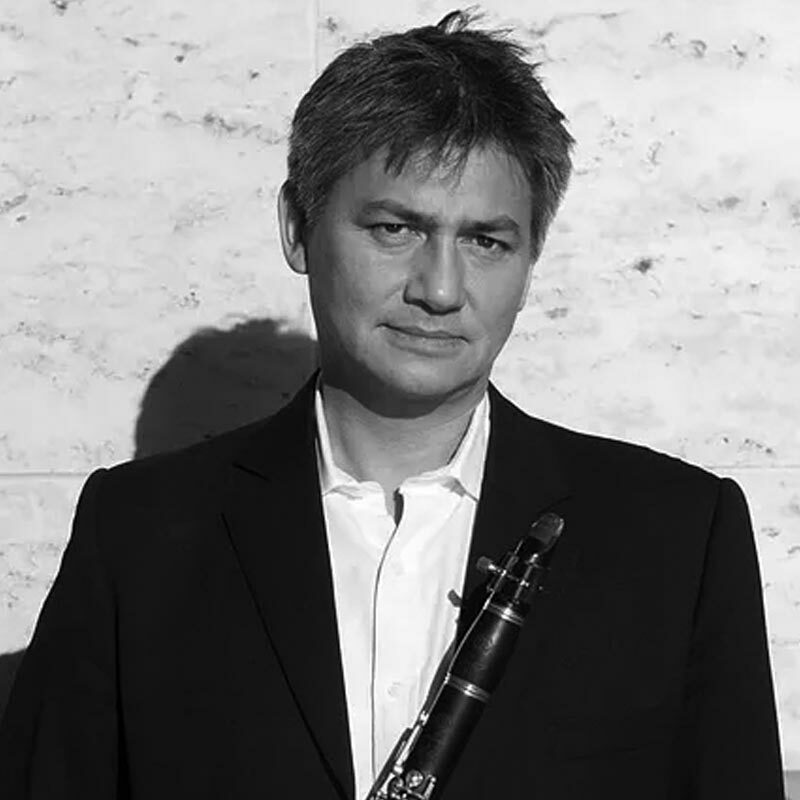 He was a Professor of Clarinet at the Guildhall School of Music and Drama between 1997 and 2003 and currently teaches at Trinity Laban Conservatoire. He is regularly invited to sit on judging panels for Music Colleges and awards committees. Anthony plays on Selmer Recital Clarinets.